….we’re off to South Carolina and Georgia to see our latest Traditional Devon calves…embryo imports from England that we paired over there. Meanwhile, our British colleagues keep coming up with exciting possibilities. This is a Bribery cow….one of our favorite lines. And the sire is from another favorite line….the Bywood herd. Unfortunately Bywood has recently closed down after many years of producing some great animals. 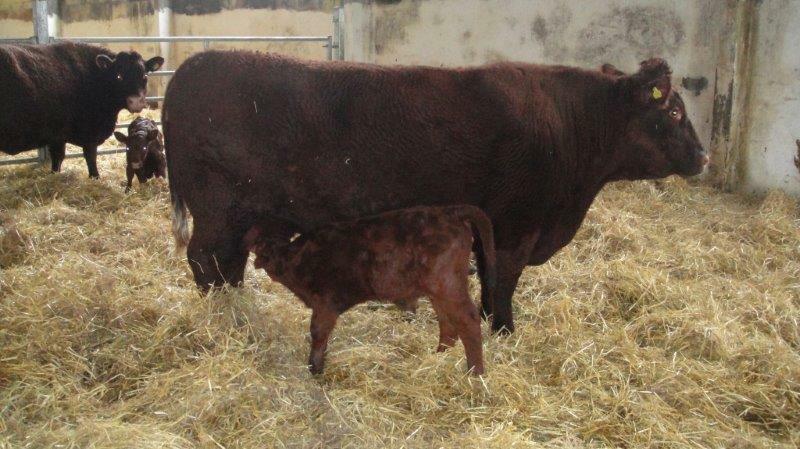 This little calf is at Ashott Barton Farm owned by our colleague Shiamala Comer. It was Shiamala who bred the Millennium Falcon bull, the cornerstone of our pure English Devon project. Study this cow and you’ll see why we had to launch what has been a kind of rescue project to bring the best of English Devon genetics to this country for preservation. Short legs, flat back, good girth, looks like my cows.